Dangerously easy to drink and great in a variety of cocktails, you’d be surprised how easy it is to make your own tea-infused vodka at home. 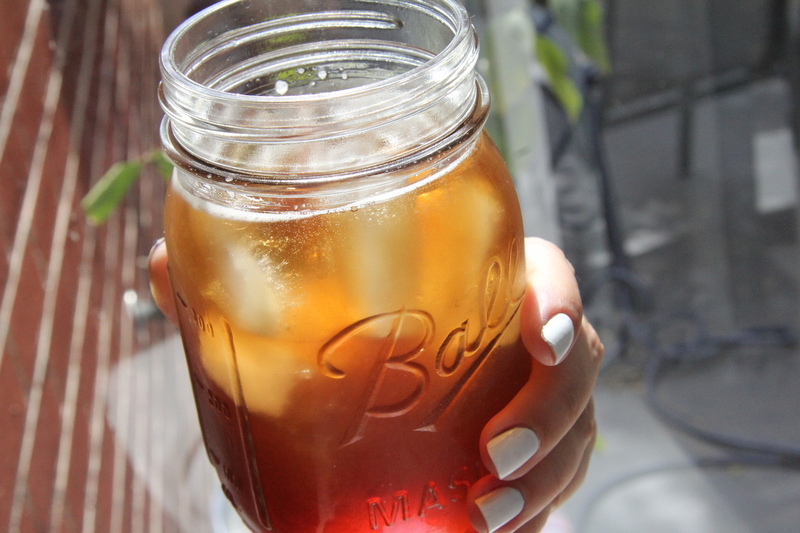 There are several incarnations of sweet tea vodka on the market, though many are made with artificial flavoring instead of being actually brewed with tea. They come pre-sweetened too, which means you lose your chance to customise the level of sweetness to your liking. But, it’s so easy to make your own concentrated sweet tea vodka at home, and once you have you can turn it into the perfect summer cocktail, The John Daly. A non-alcoholic tea and lemonade mix is known as an Arnold Palmer (like the golfer), so naturally the liquored up version is fondly known as a John Daly (like the alcoholic golfer – get it?). I need to also throw in a cultural reference here and point out that lemonade in Australia is Sprite or 7up. Lemonade in the US is old-fashioned non carbonated lemon juice, sugar and water mix. So, to create your own tea infused vodka: pour your vodka into a glass jar and add in some tea bags. Cold brew bags work great for this but regular bags will work too, they just take longer. Cold brew bags will be ready in half an hour, regular tea bags take a couple hours. Add at least triple the amount of bags recommended for the volume – remember you want to make a concentrate. You’ll know it’s right when it’s super dark amber shade like a very strong black tea. If you need to you can always add in extra bags. Then, just discard the bags and seal the jar back up, or transfer back into the empty vodka bottle. Really couldn’t be simpler! To turn your new voddy creation into a John Daly, just pour over ice, add a bunch of lemon juice, sweeten to taste with simple syrup or agave nectar, and top with water or soda. Stir well before imbibing. This one comes with a bit of a warning – these are very very easy to drink, and you can hardly taste the alcohol. Proceed with caution, but enjoy. Cheers y’all!